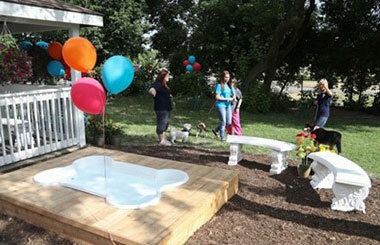 The episode of Pet Nation Renovation featuring MARL just aired on Animal Planet! Those of you who tuned in were able to see the amazing changes that Animal Planet made to our 63-year-old building. MARL received new state-of-the-art kennels, a beautiful, “real-life room”, an upgraded cage-free cat room, and an exterior facelift. We are extremely grateful for the renovations done by Animal Planet but there is still a lot of work to be done. Many areas of our aging building still need attention and we continue to see a tremendous increase in animals arriving at our doors. We can’t address these issues without YOU! Help us provide a second chance to the homeless dogs and cats right here in southeast Michigan who are in desperate need. You can also sponsor one of our brand new kennels provided by Animal Planet!